AS Australia’s strongest man, former Australian Federal Police Commander Grant Edwards’ physical strength was pure, brutish, inarguable, indisputable power. So he was as astounded as anyone when he splintered apart mentally. The unravelling, when it came, left him sobbing uncontrollably. And once the tears started, the flood would not stop. The stone man broke. 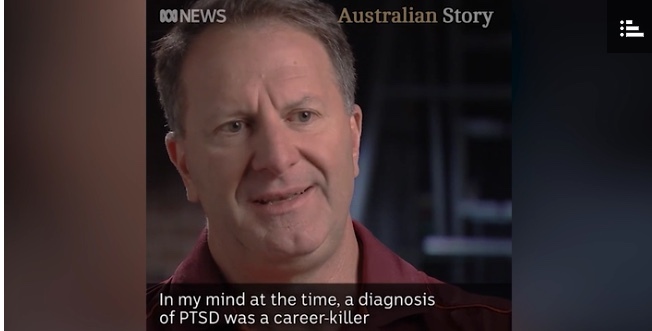 Post Traumatic Stress Disorder (PTSD) was the toll on a man who had been at the forefront of child exploitation and trafficking investigations. It was 2003, the early days of the spread of internet, and it was grim, sickening, gut-wrenching work. You didn’t talk about it, he told ABC’s Australian Story in a report on Monday night. You hardened up. Maybe had a few drinks. And then a lot more. The hangover would mask it. As AFP Commissioner Andrew Colvin concedes: “You didn’t talk about your weaknesses, you didn’t talk about your vulnerabilities, because that was a sign you weren’t doing your job, you weren’t strong enough or cut out to be a police officer,” Commissioner Colvin said. Earlier this year, the suicide of an officer at the AFP’s Melbourne headquarters led to a flood of complaints from former and existing AFP officers, chronicled by news.com.au’s Megan Palin.